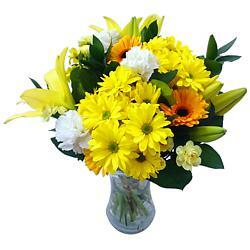 White carnation flowers are contained in the following bouquets which are available for next day delivery in the UK. 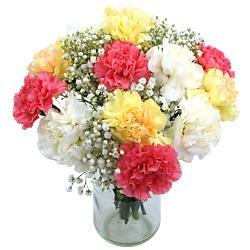 White Carnations evoke connotations of purity and innocence. 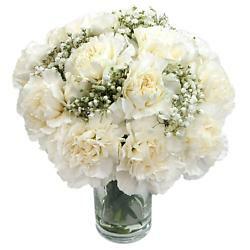 White carnations are also said to signify luck and can therefore be used as a gift to wish someone well in a new chapter of their life. In ancient times, the Romans used white carnations to pay tribute to the gods.